1) Write a Passle post in the same way as normal. Make sure you select Save and continue. 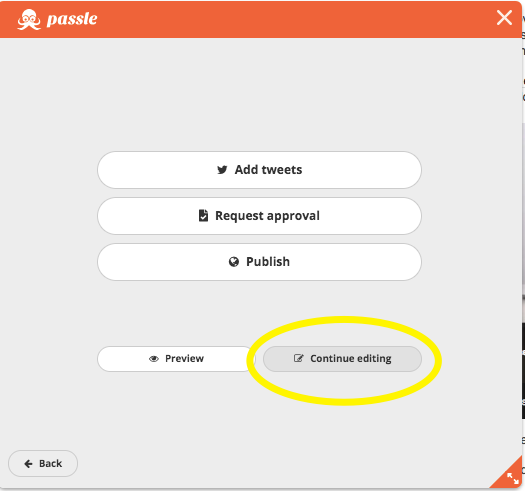 2) Next, select the Continue editing button. 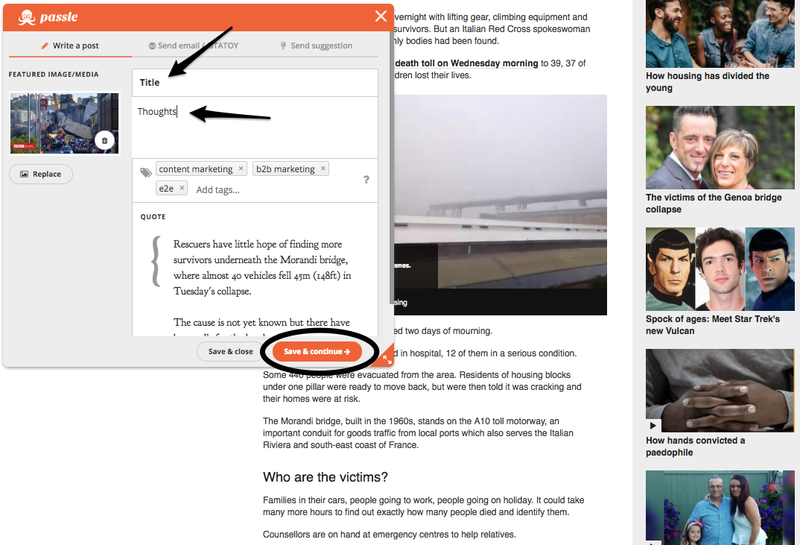 3) The Edit post page will now appear. Alongside your name as the lead author, select the ‘plus‘ button. 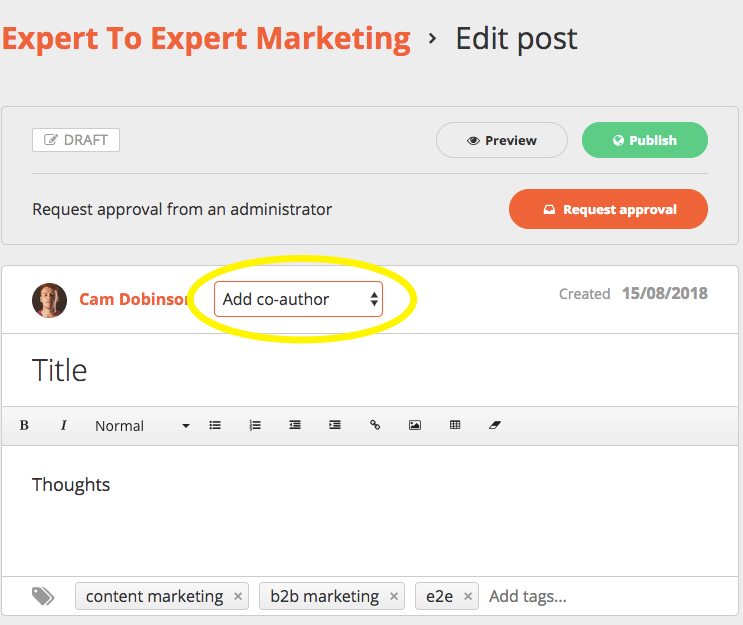 4) Choose the expert/experts you would like to add as a co-author to your post (you can add more than one). Don’t forget to select Save changes when you’re done. 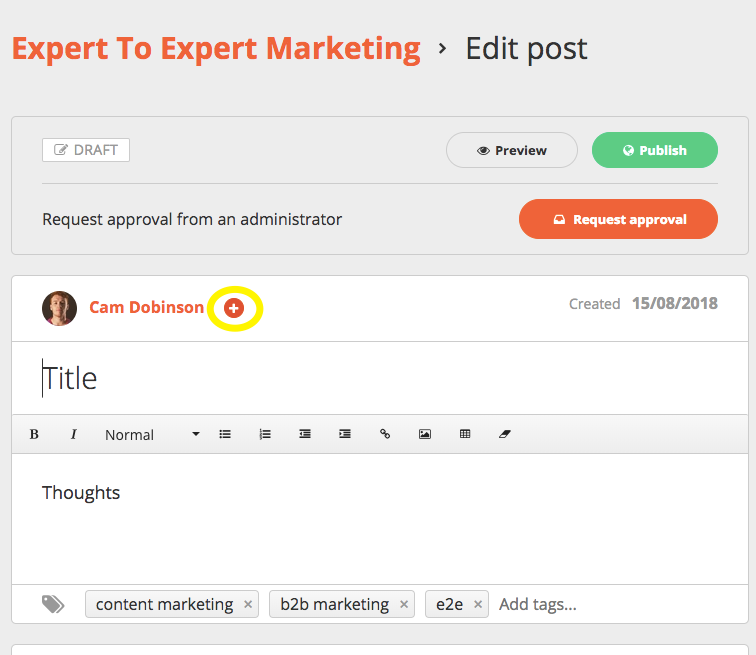 Your published post will now present your co-author(s) on the left-hand side of your post.